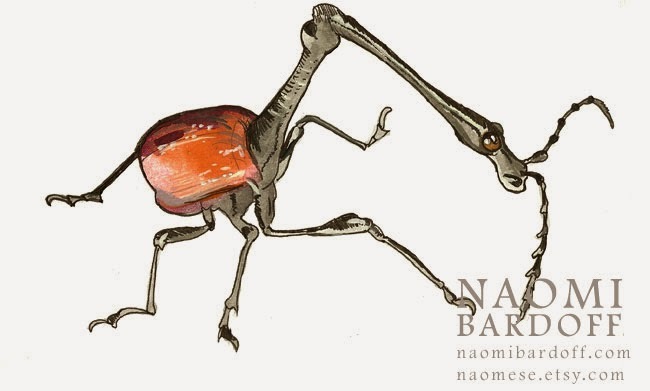 naomese - naomi bardoff's art blog: Character Sketches of Bugs, Spiders, and Snail-Mail-Men! 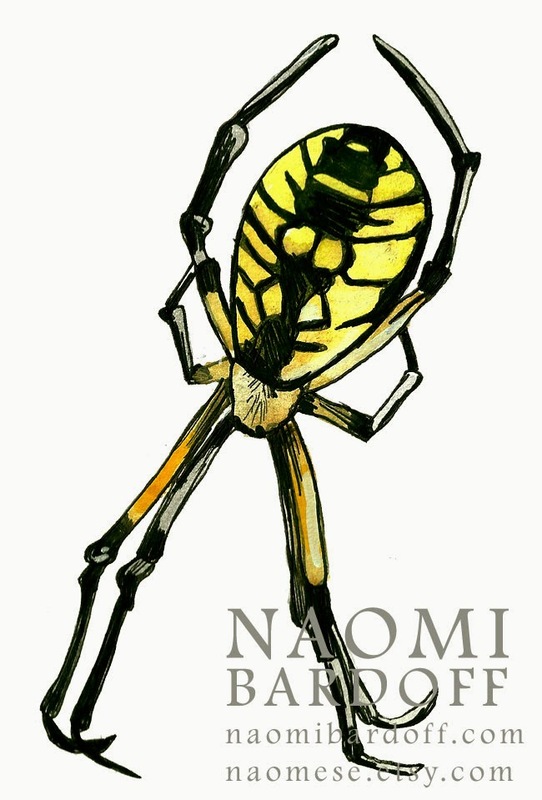 Character Sketches of Bugs, Spiders, and Snail-Mail-Men! Here are some character sketches I made of Louise and some other spiders, bugs, and critters she meets. 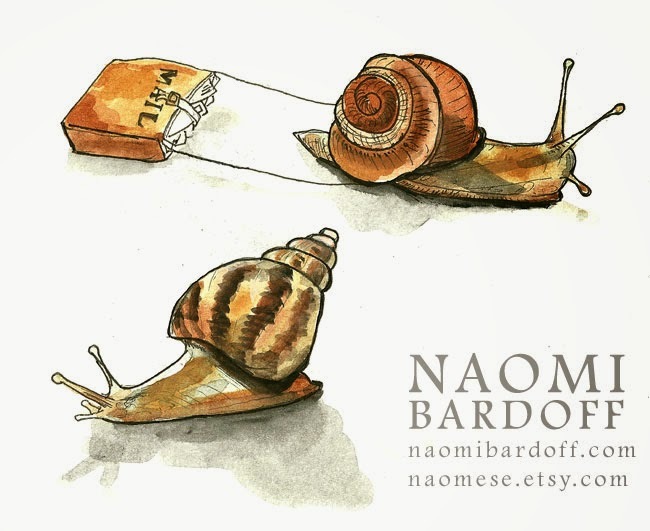 Above is a couple studies for Pete, the snail mailman. 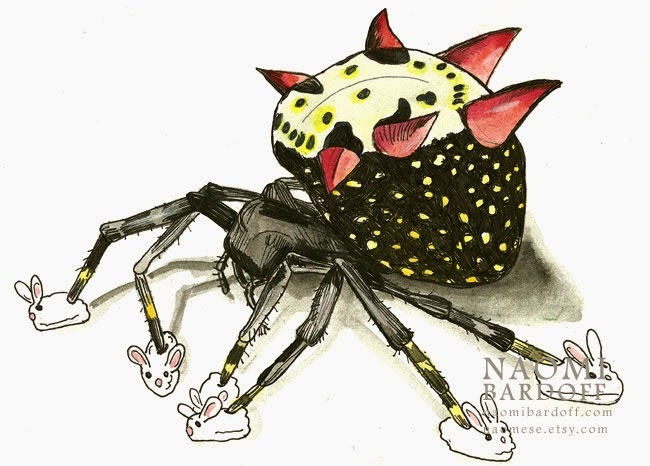 Below we have some sort of weevil thing, Louise wearing bunny slippers, and an Argiope.